M-Projects is a bespoke property development company that creates residences and commercial spaces to exacting standards. Our work is influenced by the arts and is designed to both complement and inspire your life. With careful attention to energy efficient materials, M-Projects is committed to constructing sophisticated and beautiful spaces. Founded in 2003 by Amir Mortazavi, M-Projects produces outstanding properties for select clients. Our team integrates a broad range of professions to each project, including architects, planning specialists, engineers, contractors and designers. Controlling each step of the process from development, design and construction we create a strategy for success. Through the years, we have come to understand that design is more than how a building looks and functions. It’s about how it feels and the life one creates within it. Design permeates all that we do, from how we custom build each team to suit the project through to the careful selection of materials and space planning. Our vision is to bring design to all elements of what we do as a firm. By fusing architecture, design and art, M-Projects creates impeccable modern spaces for living and working. Our architectural approach, using noble and sustainable materials in a clean understated manner, produce spaces that become a canvas for living. From concept to completion our management team’s broad experience and detailed approach allow for full control through the development process. Beginning with market analysis and site acquisition through to planning, expediting and construction oversight, our team of architects, project managers and building experts deliver refined properties with strong market outcomes. Our projects range from urban dense San Francisco to secluded Atherton and Menlo Park. With over 50,000 sq. ft. of residential and 22,000 sq. ft. of commercial space, M-Projects’ current portfolio of $50m built projects stands as a testament to our integrated approach. Building is at the heart of what we do. Constructing a property, whether from the ground up or through careful redevelopment, comes down to experience in materials, construction technologies and expertise in each of the trades that come together on site. M-Projects’ construction division is licensed, LEED certified and operates at the highest standards. We bring together traditional trades with their artisanal skills along with cutting edge building technologies and products that support efficiencies in energy use and construction costs. As much as we focus on development and design, we recognize that in the building process is where it all comes together and that every detail counts. 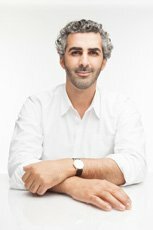 Amir Mortazavi, founder and director of M-Projects, is a second-generation property developer based in California. A LEED certified licensed general contractor with a degree in Engineering from UC Santa Barbara, Mortazavi is also a highly regarded art collector and curator. His willfully eclectic interests have coalesced into a dynamic and respected development company that provides unique properties. Mortazavi is part of the Artists Circle at the SF MoMA, curators circle at the Wattis Center for the Arts and on the host committee at the Headlands Center for the Arts. He lives with his family in San Francisco. His projects have been published in Elle Decor Japan, Architectural Digest, Interior Design, FT, Wallpaper, Dwell, CA Home and Design, and Inside magazine.